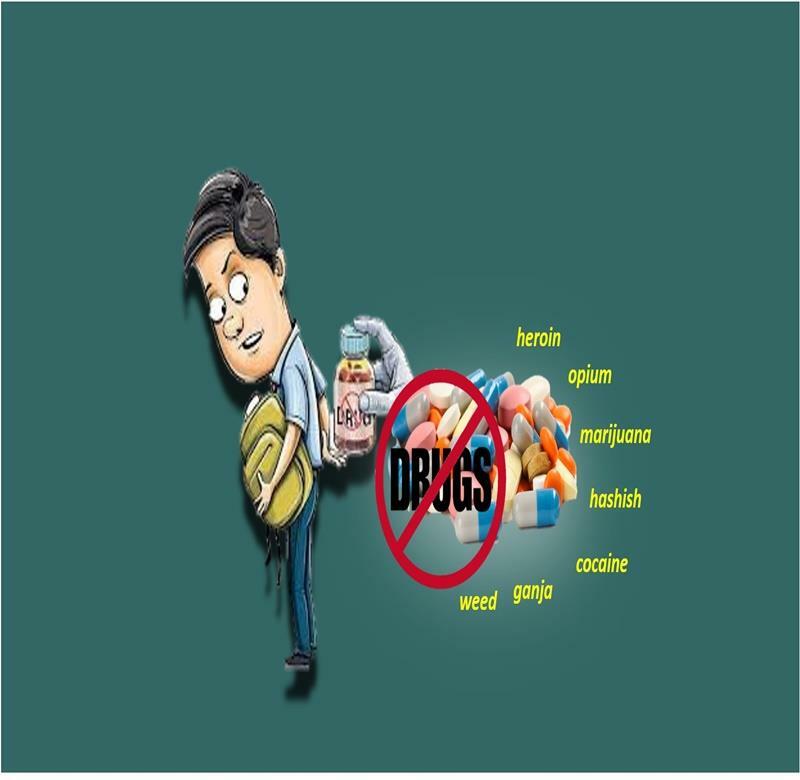 Drugs are available in our Kids schools; it is very disturbing fact that is prevailing in our society. There are 7.6 million drug addicts in Pakistan. Drugs word placed with Schools; really shocked me. Drugs addiction is the problem of whole World. But in Pakistan according to Survey most drug abusers are below the age of 24. It is alarming for Pakistan and destructive for the Future; as the Future generation is at the verge of destruction and disturbing the nation as whole. In October 2016, an NGO reported that in leading private schools of Islamabad about 53% students are addicted to different kinds of drugs. Then another survey had been taken included 10 schools and 2 universities from Lahore unveiled that 57 percent of students reported the use of at least one drugs. According to a UN report, almost 7.6 million drug addicts in Pakistan: 78% male and 22% female. According to this survey Pakistan is palced amongst the top drug abusing countries in the World. The most painful fact of this survey the average age of this drug addicts below 24 years. Some are saying that the actual numbers are much than what the UN reported. The rampant usage of drug was identified in renowned institutes of our country like Quaid-e-Azam University, Iqra University, NUST, LUMS, COMSATS, Roots Schools and some others. Cases of student death was reported due to drugs intoxication in LUMS and some in Quaid-e-Azam Universities. Why Drug Culture is Prevailing in Our Society? As the modern World requirement has been changed; our kids also have to do lot of things from Class work to home work, and then from family to social network. They feel lot of stress to engage themselves but when they can’t balance their activities that stress converted into anxiety. On other side to run the family expenses parents have to do extra hours work and can’t give enough attention to their kids to entertain or listen their emotions for grooming. In return kids knock other doors to coup with this anxiety and emotional stress and that is most of time intake of drugs. Social media has become the strong weapon to influence all genre of people. Our kids are also taking influence by it. You find slogans to attract the teenagers that “If you use drugs then Cool, if you don’t then uncool” and “Stay in drugs; don’t do school kids”. Such slogans penetrated into fresh brain and they begins taking drugs as a fun time. Not only the parents are taking the pressure of class-division in our society but the kids too. Such type of pressure results in moral crisis. Everybody is tried his/her best to achieve or maintain status-quo. This competition is also become the source of less-communication between kids and their parents. The rat race has been taken on priority at the cost of ethical, social and justified parents responsibility for their kids. You just click, the delivery is at your home door. Online availability of drugs is also made easy; dealers can easily approach the teen-agers by offering services. Extra-curricular activities are the bright and enegetic side for the utilization of the teen-agers energy. But in Pakistan there is lack of such activities in Schools and colleges as the best education is provided by private institutes, and private institutes buildings are not so big to provide grounds for their students to play. Read, Read and Read is not the complete knowledge Run, Push, Fight, Fall and Fly by doing Physical activities is the opening of balance educational environment. But in Pakistan there is dearth of playing grounds in Schools, Colleges or at Public places; it means our goveremnt and private institutes are not determined to provide our kids and teen-agers healthy environment. Students spends lot of time at schools, and parents paid heavy fees for their Kids education. Drug culture is not only the result of parents less attention for their kids but it is also taken as the irresponisibility on institutes end. Teachers and School administration are not paying proper attention to stop this ruthless prevailing of drug culture. The several drugs names are marijuana, Hashish, Heroin, Opium and Cocaine. There are lot of sub-types of these illegal drugs are available. These are the expensive drugs which are available in Lahore and Islamabad Schools, colleges inside and outside premises. But no one is paying attention to our future generation safety. Government and institutes should take proper measures to stop this ruthless crime from prevailing in our society and securing our next generation from such dark future. For the being of safe nation; government must declare emergency to fight against this evil.